A genuine taste of Italy available everywhere nationally! Linda Liberi, Founder and President of Mezzaluna Biscotti fondly remembers the sweet times of her childhood in South Philadelphia with Bruna, her diminutive, grandmother, a native of the Calabria region of Italy, who baked some of the most delicious cookies and desserts for her family and to the absolute delight of her grand children. Linda’s favorite was her grandmother’s twice baked anise biscotti, great for dipping in coffee or espresso. After marrying and starting to enjoy the pleasures of her own family kitchen, Linda began expanding and embellishing upon her family recipes, especially the biscotti. Through her imagination and her love for baking, Linda began by “softening” the traditionally small and crunchy biscotti into a much larger, yet delicate cookie. She then created marvelous new flavors by adding almonds, hazelnuts, macadamia nuts, cranberries, chocolate, and natural orange and lemon flavors among many others. After twenty years of pleasing family and friends with her homemade biscotti, and at their urging, Linda founded Mezzaluna Biscotti in 1995, a thriving bakery that offers gourmet products to discerning cookie fans across the nation. Retailers and consumers alike rave about the delicious texture and unique flavors of Mezzaluna Biscotti. “The most enjoyable biscotti I have ever tasted” is often heard whenever the cookie is served. Linda has blended the traditional Italian recipes with new world taste. 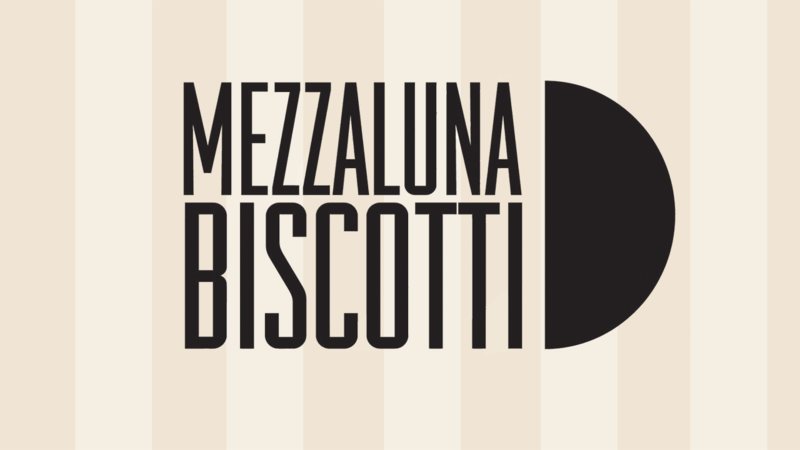 Mezzaluna still bakes biscotti with that homemade taste! They are made with the same traditional, fine, all natural ingredients, twice baked and they never contain preservatives. Mezzaluna bakes biscotti in the traditional shape of the moon (luna) in its early, half crescent shape (mezza). Mezzaluna Biscotti, “the most Heavely Biscotti on Earth!” Grandmom Bruna would be very proud indeed! 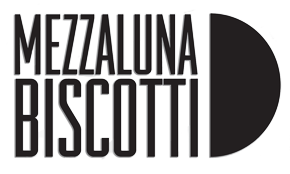 Mezzaluna Biscotti provides retailers with a gourmet, premium product. The generously sized biscotti (almost 2 oz. each) and the popular “mini” biscotti are available in bulk, in all 16 original flavors (also available hand dipped in Belgian white or dark chocolate upon request ) or in custom flavors to suit your special retail market needs. You will find Mezzaluna Biscotti makes the best Biscotti!